TEC4SEA is a unique and pioneer platform in Europe to support research, development, and test of marine robotics, telecommunications, and sensing technologies for monitoring and operating in the ocean environment. Its characteristics, geographic location allowing fast access to deep sea, and support of multidisciplinary research, enable full validation and evaluation of technological solutions designed for the ocean environment, allowing researchers to evolve from simulation/lab experiment to field trial. 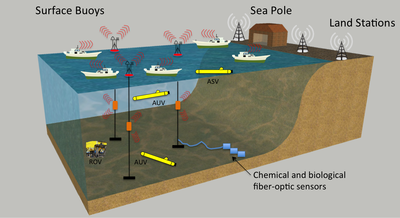 Robotic platforms capable of supporting different payloads, including buoys and aerial, surface, and underwater vehicles.